Sometimes you just look at a cheaper dupe of product and think, how have you got away with this? Copyright law does not seem to do much in the way of dupes, eh. I spotted this ‘Tangle Attack’ in poundland for, you probably guessed it, a pound. I had to spend over a fiver in there to pay on my card so I picked it up, not expecting much but not caring as it’s only £1. I’ve had, and loved, my Tangle Teezer for a few months now. It really does help to de knot my frizzy-curly-mane hair in seconds. I’ve wanted a travel sized one for ages but I can think of better things to spend £12 on, so I was hoping this could do. Tangle Teezer’s are generally bright colours or patterns, and are made of shiny plastic. They’re eye catching, bold, and cute. The Tangle Attack look a lot cheaper in comparison, the plastic is dull and matte and the writing is a bit tacky. It comes with a case thing, to protect the teeth. They’re a slightly different shape to each other, the Tangle Teezer is a bit fatter and shorter, and the Tangle Attack is longer and thinner. The Tangle Attack is actually easier to hold. 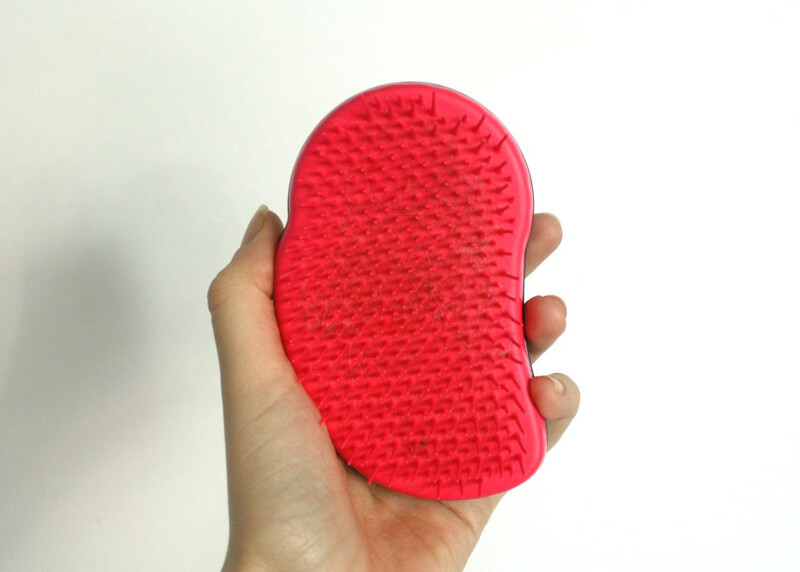 The Tangle Teezer feels a lot sturdier, both the actual plastic and the teeth. The Tangle Attack isn’t exactly flimsy, but you can tell the plastic is cheaper. I wasn’t sure what to name this section so I went with the literal. I personally find that the Tangle Teezer deals with my knots really well, and I can do my whole head in about six strokes. The Tangle Attack definitely isn’t as good… It’s basically not any better than a hair brush, if I’m honest. It copes well with small tangles, and works well as a brush in general, but it probably couldn’t deal with hair that’s not been brushed for a few days, if you’ve ever experienced that kind of knotting. The real Tangle Teezer is a clear winner for me, it looks nicer, feels nicer, and works better. It was kind of obvious that would be the case, but I figured having a comparison might be helpful for any prospective buyers. I do think, for £1, the Poundland version isn’t terrible as a hair brush, but it’s no comparison for a Tangle Teezer. 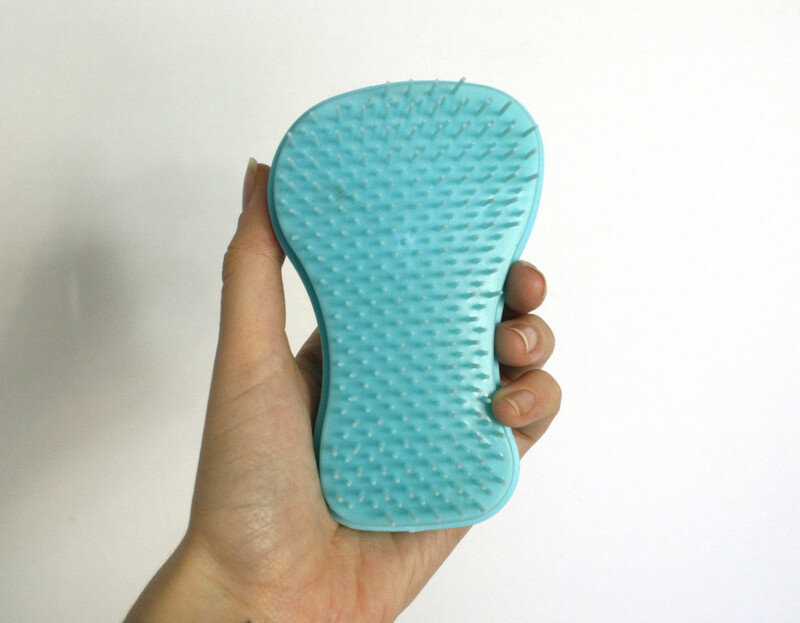 I use my cheapy teezer at the gym, it has a permanent home in my gym bag and it works fine for after exercise hair.. My real Tangle Teezer is somewhere on my bedroom floor at any one time, and it’s great for getting rid of those morning knots that appear after a night of tossing and turning. I do think that the real Tangle Teezer is worth paying for, but if you’re after a cheap portable hairbrush the Tangle Attack is actually okay. I’ve recently started using a new tangle brush (coming soon!) which may be quickly becoming my new favourite though!